Get anything from E5 to your door in less than 30 minutes. What do you fancy from E5? 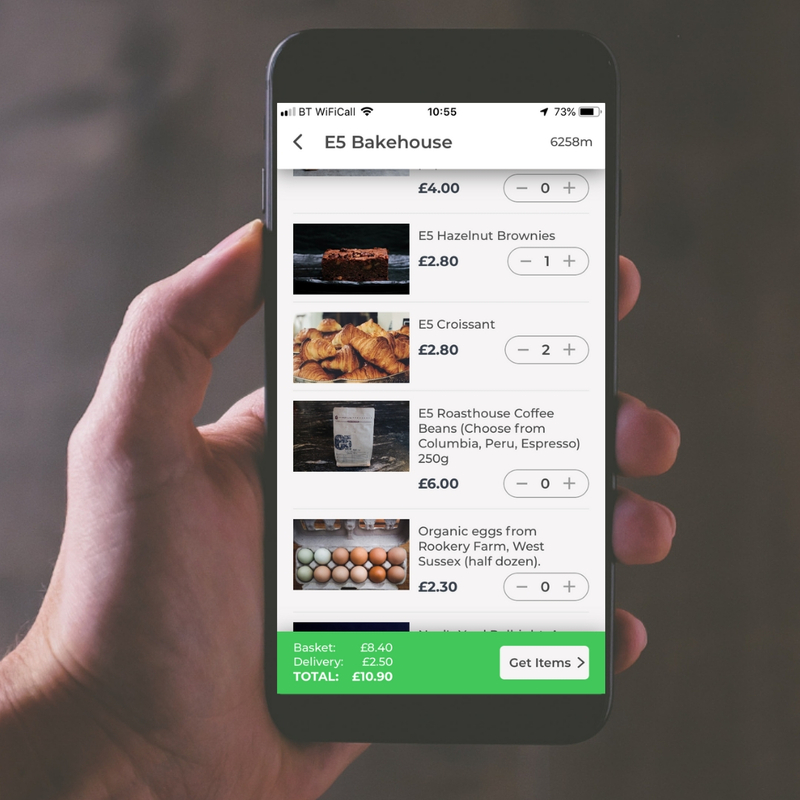 Need your favourite E5 bread, cakes, coffee or cheese to your door? Pinga is E5’s local delivery partner, we use trusted people who live in your neighbourhood to drop bakery items to you in less than 30 minutes. Browse E5 goodies in the app, tap ‘get’, and a trusted Pinga Partner will quickly help you out. Thanks Pinga for bringing E5 to my kitchen! You can't get Neal's Yard cheese anywhere else around here!